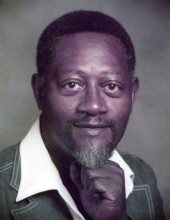 Celebrating the life of James A. Stewart, Sr.
Obituary for James A. Stewart, Sr.
Mr. James A. Stewart, Sr., 80, of Chase City, VA entered eternal rest on Sunday, February 10, 2019 at Sentara Halifax Regional Hospital, South Boston, VA.
Mr. Stewart was born in Eufaula, AL on July 23, 1938 to the late Calhoun, Sr. and Charlie Bell Stewart. He was a 1957 graduate of Ballard Hudson High School in Macon, GA. Mr. Stewart relocated to New York in 1961, and gained employment with the Bronx State Psychiatric Hospital. He retired in 1993 as a plumbing supervisor. Mr. Stewart settled in Chase City, VA, and joined Mt. Mitchell Baptist Church, Drakes Branch, VA. In addition to his parents, Mr. Stewart was preceded in death by his first wife, Edith Wood; a sister, Carolyn Stewart Mardis, and brother, Calhoun Stewart, Jr.
Cherishing his memories are his wife, Kathleen B. Stewart of Chase City, VA; his children, Kelvin Stewart, James A. Stewart, Jr. (Zelliar), Jeffrey Stewart (Lola), Joseph Stewart, Frederick Carpenter, Mark Carpenter and Timolin Robinson (Johnny); 24 grandchildren, 22 great-grandchildren, and a vast number of other loving relatives and caring friends. Funeral services for Mr. James A. Stewart, Sr. will be conducted 1:00 P.M. Thursday, February 14, 2019 at Mt. Mitchell Baptist Church, Drakes Branch, VA with Rev. Fran S. Jackson officiating. Burial will follow in the church cemetery. Public viewing will begin on Thursday at the church from 12:00 noon until 1:00 P.M.
To plant a tree in memory of James A. Stewart, Sr., please visit our Tribute Store. "Email Address" would like to share the life celebration of James A. Stewart, Sr.. Click on the "link" to go to share a favorite memory or leave a condolence message for the family.